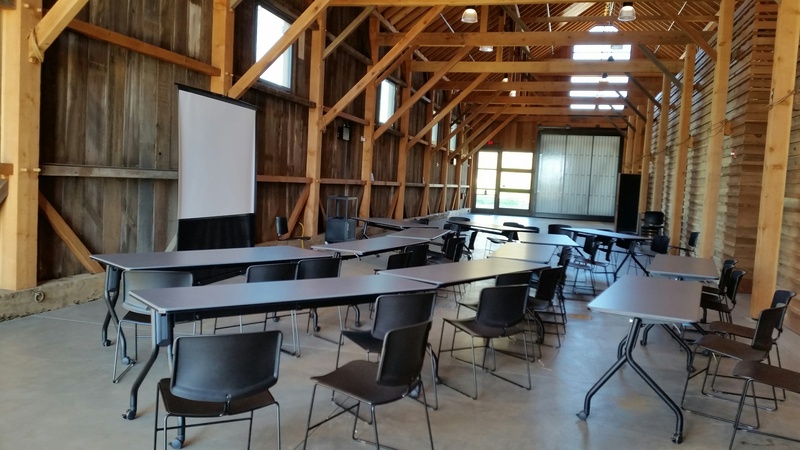 The Hay Barn is a large and flexible space, easily accommodating an event any month of the year! The space is large enough to hold a lecture, wedding ceremony and reception inside in the main hall. Many clients utilize the outside area and parking lot in warm weather. 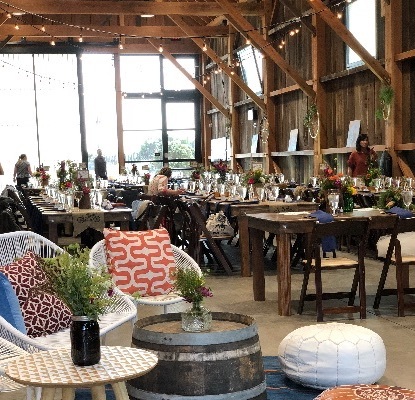 We also offer an outdoor site on the Farm at our Ocean View Field, which operates (weather permitting) from early July through October, as a separate hourly rental. The weekend rental rate gives you 12 hours of event time that includes your set up and tear down/clean up. Additional hours are available if desired. We have a $1000 security deposit and a $200 mopping/heavy cleaning fee. We only allow the serving of beer and wine, no hard alcohol is allowed, and liquor liability insurance coverage is required. We maintain a preferred vendor list if you need recommendations for local event vendors who are familiar with working here. 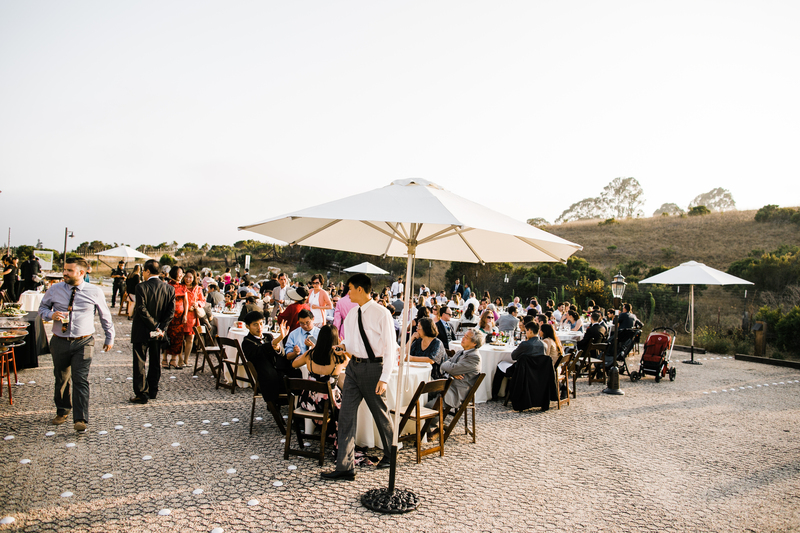 A professional event coordinator is required for at least the day of the event. 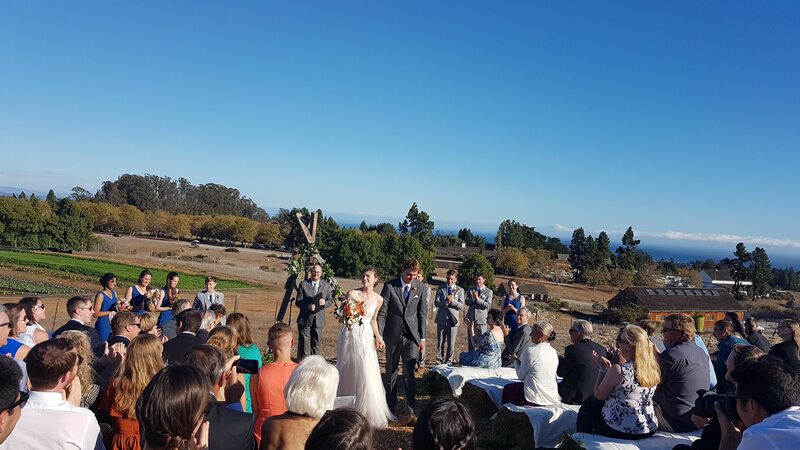 Rentals are confirmed once we have received your holding deposit ($500.00 for the Hay Barn, $150 for the Ocean View site), by check only, payable to UC Regents, mailed to the address at the bottom of this email) and a signed copy of the Hay Barn and/or Ocean View Field Rental and Use Agreement. Rentals of both sites are confirmed on a first come, first serve basis, and full rental fees are due 60 days prior to the event date. We do not offer any discount on rental to UC alumni or staff at this time.